Ideal for both business and leisure guests. Next to Croxley and Watford business parks. This hotel is a convenient choice for wedding guests as there are popular wedding reception venues nearby. Situated well for access to Wembley stadium via the underground. 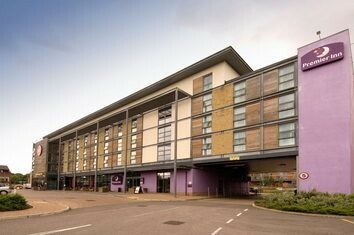 Our Watford (Croxley Green) Premier Inn has everything you'd expect, friendly service, incredibly comfy beds, Freeview TV, WiFi, free parking and an onsite Brewers Fayre restaurant. From M25 (18), take A404 Watford/Rickmansworth, turn left at first roundabout signed A412 Watford. Follow A412 signed Croxley Green Business Park/Watford, at 4th roundabout take 3rd exit. From M1 (J5) follow A41 Watford town centre, pick up sign for Watford West and Rickmansworth A412. Follow A412 until roundabout signposted Croxley Green Business Park then take 2nd exit.